This is devastating. 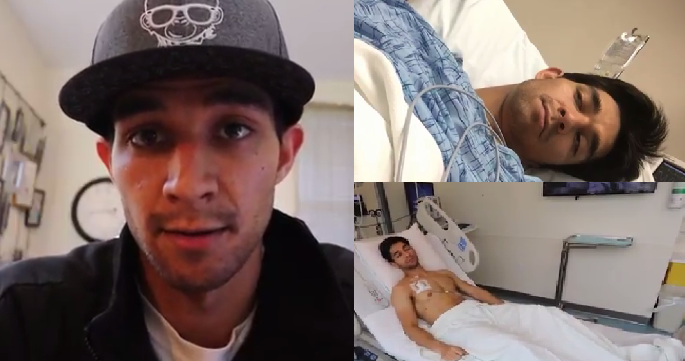 Youtube vlogger and former 'Pinoy Big Brother' housemate Wil Dasovich revealed in his newest vlog that he has been diagnosed with cancer. Wil started his 11-minute video with a heartfelt message: "I think everyone wants to live a long life. I would like to live a long life. But what's more important to me is how I live my life.It's not the years in your life, but the life in your years that count." In his newest vlog, Wil talked about his memorable travel moments in Southeast Asia after finishing his degree in the United States, why he decided to stay in the Philippines and how he started his own vlog before he revealed the bad news. "Ask yourself, are you satisfied with the way you've lived your life and have you maximized your experiences? My answer to that is yes, and that's why I'm content with my condition and the hardships I face. The other day, I was diagnosed with cancer." he said.